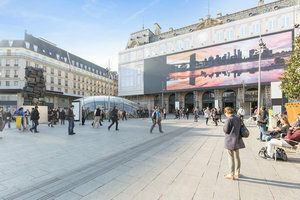 This retail booth situated in the busy Gare Saint Lazare is a great opportunity for brands to gain exposure and grow their customer base. With multiple retail booths available, it's a perfect location to host a Pop-Up Store or launch new products. 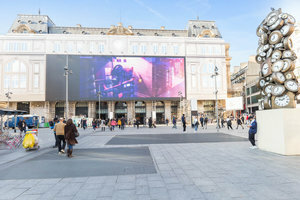 Gare Saint Lazare is home to many big-name brands including Mango, Foot Locker, Desigual, Gap, Marks and Spencer, Guess, as well as many popular food outlets. This presents a diverse demographic and the chance to align your brand with both global and local retailers. Brands hosting a temporary store here will benefits from incredible levels of passing foot traffic, 275,000 travellers pass through this station every day. There a range of units available with variable facilities. Send a request for more information and find your perfect retail space.